On a tiny budget, but with a hilariously clever and knowing script, Eric Idle and Neil Innes labored to create the story of The Rutles in a movie for NBC Television called All You Need Is Cash. The TV film was originally intended as a late-night special, perhaps to fill in for NBC's Saturday Night on one of its weeks off. NBC was so taken with the project, though, that they moved it to prime-time. The budget wasn't increased in response to the move, but Idle's experience doing Rutland Weekend Television on a chat show budget would pay off here. 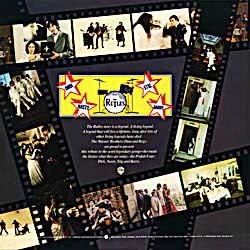 An album of music from the show was expected to be released on Arista Records (which had both the Python troupe and Neil Innes under contract in the United States). Amazingly, another Beatles connection arose and changed all that. Former Beatles Press Officer Derek Taylor had moved to the United States several years earlier and was now a Vice President at Warner Bros. Records. He knew about the Rutles TV movie project, and convinced his company to pick up the album from Arista. Derek Taylor put his immense experience at promotion to work on the Rutles album. 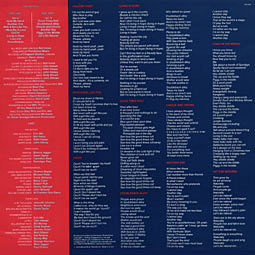 Marshalling the impressive might of Warner Bros. Records, he put together a breathtakingly massive promotional campaign. He became Rutles Press Officer Eric Manchester. Although Michael Palin played the role of Manchester in the All You Need Is Cash, Taylor actually was him, writing and issuing press releases, and generally getting the word out. It is Taylor that was responsible for the impressive album package. He gave the project a budget large enough to do it big. 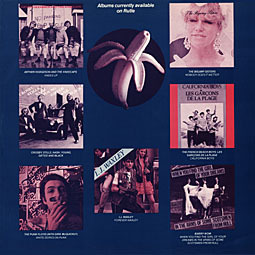 The LP was issued on February 24, 1978, in a gate-fold cover with a full color 18-page booklet inside detailing the history of The Rutles. (Or should I correctly say that Warner Bros. issued a booklet, which was accompanied by a free LP?) Also part of the package was a full-color LP sleeve with lyrics, credits, and other Rutles-related material, all in color. There was nothing off-the-shelf about the project. The album was also released on 8-Track tape and Audiocassette.